English Spanish Language Guide is an android application is an english to spanish dictionary aps. You can use it as a replacement of thick english and spanish dictionary. This is an english spanish dictionary app for android and it is an free alternative to english to spanish dictionary google. It is not the best english to spanish dictionary but it is free. You can also use english to spanish dictionary online to get free meaning. There is many type of zakat that we are no aware of as Malaysian Based on E-Zakat Selangor. You can calculate the eligiblity with the following Zakat Calculator. You also can pay your zakan online. Goto E-Zakat Selangor or i-Zakat Melaka or Bank Muamalat for more information. We hope one day, we can develop some handy zakat calculator that will encourage muslim to do their obligation. How to calculate Zakat for Malaysian? Most of the times bluehost server seem to get down. I have no idea why it is always down. I wish them to settle the problem immediately, it is unaccepatble to get this kind of services for the payment. I have no idea why the server always down. I recomended my friend to this hosting service but it is always down.. 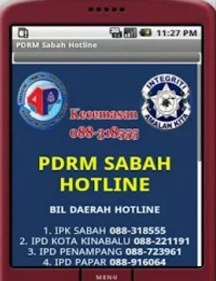 Handy PDRM Sabah Hotline in your Android Smartphone. Smartphone market share from 2009 to 2012 especially from US smartphone market share based on gartner smartphone market research we can see that Android Phone has 66.6% market share in 2012. This is true if we compare it with worldwide smartphone market share where Google Android platform are getting bigger and bigger. If we look back at Smartphone market share 2009, saw 47.0% phone user are Symbian based platform. Most of people are using Nokia phone that times and people still use Windows Mobile platform for smart phone experience. Android smartphone market share has increase tremendously because they focus on user need. They gave the OS for free but are focusing on Advertisment to get revenue from smartphone os market share. If you look at market share of smartphones and world smartphone market share from nielsen report in 2011, you can see that Android get 40% market share, 28% for Iphone and 19% for blackberry. We can't predit the upcoming smartphones trend but we think that the market will go with Google Android in long future. If we look at idc smartphone market share, we can see that Samsung is getting 29.1% of market sahre in first quater of 2012. Most samsung phone are based on android smartphone platform, this leave iphone smartphone market share to 27.0% market share. If you are want to learn about windows software development and want to know how to develop software for windows then download the Microsoft Windows SDK for Windows 7 and .NET Framework 4 here. Microsoft have create a great app development software for windows since the early windows version. You might remember gw-basic, qbasic, pascal, ms assembler and older generation of visual basic. Developing windows applications is fun and rewarding too. Software is an art and required a lot of logic and analytical skill. Most windows developer are interested in iphone development software for windows because there is a large demand of it. Windows software development kit download is free. You can use Visual Studio 2010 express version here. You can choose the following langguage of your choice. I prefer C# to develop windows app and sometimes use Classic VB6 to develop application. I also do ios development for windows and android app development other than desktop application development. If you want to create games for Windows than you can use Direct-X technology or kinect for windows software if you wan to crete games for Xbox 360 which change the way we interact with games and entertainment. There are many development tools for windows other than microsoft version. You can use Power Basic, Delphi, Borland C++ or open source compiler is as GNU C.
The create thing about windows software is that you can use it for custom software development or windows web development software. So if you are intererested to build Windows application, you can learn how to program and sell it use windows software downloads portal such as Cnet, Brothersoft and Tucows. Developing software and get involve in software development is a valuable skill. So start to learn how to make an app for Windows from HafizRich.com blog. How to develop Windows software using development kit? Symbian application development is dead? Read this forum to found out the answer. You can use netbean as a tool for symbian app development. You need to download J2ME or JAVA ME or QT tools. Symbian is popular for game development and almost many nokia, sony erricson, samsung, LG phone are using Java based application before. The jar size application is usually below 1MB. This is because flash memory is expensive 5 years ago and symbian java development works perfectly in the last century. It still worth it to learn about symbian development tutorial because there still some user who use older generation phone. What you need is a symbian development tools with symbian os development (Windows/Linux/Mac). You need to learn symbian applications development and download symbian s60 development toolkit or QT tools. It is good to learn symbian apps development and read symbian application development tutorial. It is just like a memory lane. Symbian os application development is a bit outdate but it is still useful especially if you came from C++ or Java background. What the hell happen to symbian software development? 2. Use the following code in your apps. Save apps to sd card android source code..
or looking a way how to install an sd card in android. The short answer is no. You cannot install apps in the SD-Card. You can only install application in the memory card. One work around is the installing Android ROM on SD-Card by using magldr. Beware that you Android will run slowly on SD-Card. You can also, go to setting and choose apps, transfer to SD-Card but not all application support this option including Androidrich apps. If you are running low of disk space. You can install disk cleaner apps to delete temporary files in your memory. Go and download the disk cleaner apps at android market or droid market. Some of this apps is included as android widgets so that you can clean and speed up your apps instantly. or maybe it is a time for you to upgrade to a bigger space handphone such as HTC, Samsung S3, Ect. How to install apps in the SD-Card? Super AmoLED Screen with 4.3 Inch.Screen is sharp usable even in bright sun. SD card read speed is a bit slow. Not so popular brand yet. Huawei Ascend P1 S the world's most slimmest smartphone advantage and disadvantage.. This is beautiful phone with the right specification. DC output: 5 V and 1 A. With the price, it is much better to buy a new notebook. You are more productive with a notebook compare to this phone. HTC Butterfly or buying a new notebook? Asus the famous notebook maker unveiled Padfone 2. The phone cost about $750. At first it's just an expensive phone with tablet dock. This phone is robust and a bit expensive. But if you look at the feature, you will found out that it's not that expensive. Here is the for specification. The phone have a function to slide the 4.7” PadFone 2 into the 10.1” PadFone 2 Station. The camera is impressive with 720p high-speed recording at 60fps and 100 consecutive photo captures at 6fps. Super cool. It has 16 hours talk time with 2,140mAh battery which can extend the talk time to 36 hours if you dock to PadFone 2 Station. It is phone with tablet.The phone audio support PadFone 2 Station employ SonicMaster technology. The phone is just 135g for PadFone 2, and 514g for PadFone 2 Station powered by Qualcomm® Snapdragon™ S4 quad-core CPU at 1.5GHz with 2GB RAM. You can also shared data plan for both devices, utilizing the phone’s SIM card for all data connectivity. Over all, Asus Padfone 2 is not an over price phone. It's is unique and worth it. Asus has produce a robust phone with a smart design. Asus Padfone 2 over price phone? If you love Asus brand, this phone is for you. Asus Padfone 2 over price phone? Think again.. This AdZero smartphone are using 1.4 GHz Samsung Exynos 4 quad-core processor similar to Samsung S3. It is the first "world's first bamboo smartphone". It kinda weird to have phone using bamboo but it is kinda unique experience too. It has 1 GB of RAM and 16 GB internal storage running Android 4.0 Ice Cream Sandwich. It's cost about $700. It has a 4.5-inch TFT LCD with 720x1280 HD Resolution with 326ppi. The phone size is 134 x 68 x 11.8 mm. It support standard networks: GSM 850/900/1800/1900 MHz; UMTS/HSPA+ 1900/2100 MHz. The battery life is a bit short wiht just 2050 mAh but the cameras support Rear-facing 8MP f/2.0 back illuminated sensor with RingFlash, 0.3MP front-facing camera which is quite good for bamboo phone. It's also support Wi-Fi: 802.11b/g/n for net surfing. Visit the website. ADzero, world's first weirdest smartphone with natural beauty. If your Samsung Galaxy Y S5360 is unable to boot. You can hard reset your phone to a factory default setting. First, charge your battery to maximum level then boot your phone. Press Volume UP + Middle Home Key + Power Button. Wait to formating data and restore to default factory setting. Let start with Nexus 4 advantage. Nexus 4 has a smaller size compare to LG Optimus 4x HD or alson known as LG X3. It has 8MP camera plus in front camera. Use the latest android 4.2. Let start with LG Optimus 4X HD advantage. We prefer LG Optimus HD or LG X3 because of external memory support. It support external memory up to 32 GB. So LG Optimus X3 is the winner. FlashDevelop IDE with NME is the best way to build 2D games for Android. It is a cross platform solution using Haxe language compiler. You can also use NME to develop for Windows, Mac, Linux, Blackberry, iOS, Flash and HTML5. NME is free of charge lead by Joshua Granick. NME supports Windows XP, Windows Vista, Windows 7 and the Windows 8 desktop. Make sure you have Windows XP SP3 install or you will get error message. You will need a good IDE to make your games development easier. We prefer FlashDevelop with project template. You will need to setup Android SDK manager, select all option for Android 4.3 (API 17). Download the Android NDK and wait until finish. So if you are wondering what is Andoid NDK? What new in Airpush 5.0 sdk? Earn $10+ CPM's with SmartWall, our new full-page ad format which dynamically optimizes between multiple sub-formats including AppWall, OfferWall, Dialog Ads, Video Ads, Rich Media, and More. Get free access to industry leading app monitoring and crash reporting integrated directly into our SDK and portal. Full compliance with recent guidelines from Lookout Mobile and Google Play, including data security practices and opt-in. We hope that Airpush 5.0 latest SDK is better than before.. Let's give it another try. Airpush 5.0 latest SDK.. Hopefully better than before.. 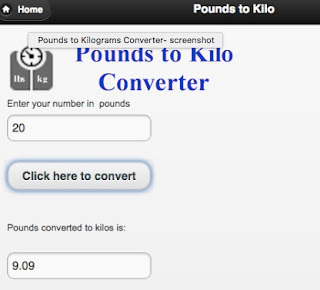 This handy tools will help you convert any kilogram (kg) metric number to pounds (lbs) in just a few seconds. You can download this application at Google Play for free of charge. Please share this application and link back the apps to our website. Android APK decompiler pro is a GUI tool for reverse engineering 3rd party, closed, binary Android apps.It is NOT intended for piracy and other non-legal uses. Visit here for more infomation. [2013-01-29 02:36:33 - My first Android Apps] Android Launch! [2013-01-29 02:36:33 - My first Android Apps] adb is running normally. [2013-01-29 02:37:51 - My first Android Apps] ERROR: Application requires API version 15. Device API version is 3 (Android 1.5). [2013-01-29 02:37:51 - My first Android Apps] Launch canceled! My first Android Apps] ERROR: Application requires API version 15. Device API version is 3 (Android 1.5). Yes, it is possible to convert J2me (midlet java) to android (apk) without rewrite your code. You can use converter to do that. Most of converter on the internet is not working correctly. You can use open source APKtool to convert jar to apk. You also can use JBED emulator. It won't work on latest android version. AppBucks is a new company to monetizing your Andoird app. If you got a cool app, you can register for Appbucks adknowledge with easy integration to increase your apps revenue. Appbucks claims to display premium advertising offers to users after they install your apps. Through a combination of ad units including push notifications and icon ads, you can be sure to reach your full revenue potential. Push Ads are delivered to the Android phone's notification bar, and remain there until the user removes or clicks it. Push ads is a bit similar to airpush. If you wonder this apps is compliant with Google's developer content policy, the company claims that their SDK includes ad attribution and an opt-in mechanism that you can use to ensure that your app remains compliant with Google's Developer Content Policy. Make sure to read the policy carefuly and implement the opt-in calls that are covered in the SDK documentation in your app. You can visit their http://app-bucks.com/developer/portal for SDK integration portal and you can ensure opt-out from user by one line of code. Developers are paid on a per-impression or CPM basis, where an impression is an ad being pushed to a user's notification center (whether they see and click it or not), or an icon ad being installed on a user's home screen. The CPM actually paid out for a given app is driven by the quality of that app's traffic. With so many option to monetize your apps, we think this new appbucks is worth to mention. So if you are looking other option to monetize your apps other than Admob,Airpush and ect. This is your alternative. We will update you with our experience with this company in the future. Share your comment if you have good or bad experience with AppBucks. 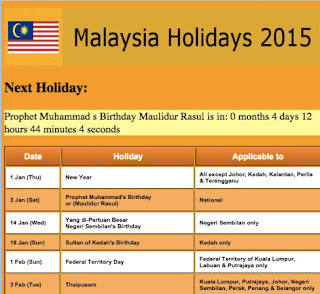 Malaysia Public Holiday 2015 Android Apps or Cuti Umum Malaysia 2015. 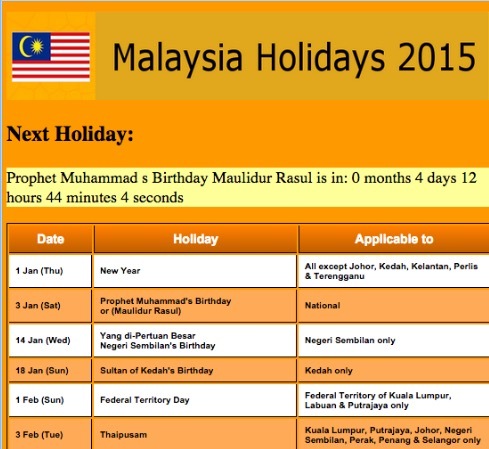 You can plan your holiday for 2015 by using this handy Android application. You can see the countdown of holiday on your hand phone screen. The application is useful to let you calculate the day until holiday. The holiday is accurate and cover major holiday in Malaysia such as Hari Raya, Chinese New year, Deepavali, Hari Gawai, ect. This apps will never let you guest when is the next holiday. It's useful for busy and forgetful person. This apps take les space and can be view offline or online. We hope you like our software and continue the support of this application.